This reading group guide for Again to Carthage includes an introduction, discussion questions, and ideas for enhancing your book club. The suggested questions are intended to help your reading group find new and interesting angles and topics for your discussion. We hope that these ideas will enrich your conversation and increase your enjoyment of the book. 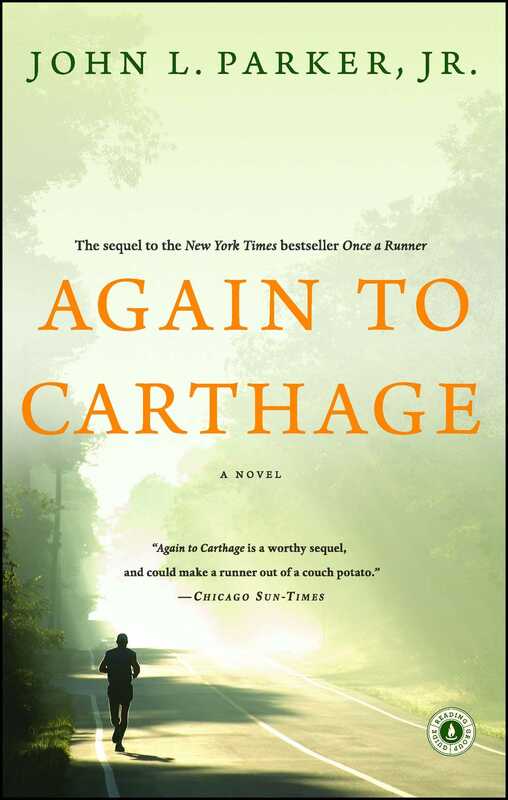 Quenton Cassidy returns in John Parker’s Again to Carthage, the sequel to Once a Runner. Having won a silver medal at the Olympics, Quenton attempts to settle into a normal life: attending law school and then working for a firm, living the good life in Florida with friends, running only occasionally. But there is something missing, and he knows it. After the deaths of two men close to him leave him shaken, Quenton decides that with the help of friend and coach Bruce Denton, he will train for the Olympics again, but this time for the marathon. As he trains and pushes himself to the brinks of human endurance, Quenton struggles to decide who he is and what his life can and should be. 1. What do you believe is the primary motivation for Quenton’s decision to try for another Olympic medal: Coming in second? Dissatisfaction and boredom with everyday life? Depression? Something else? 2. Quenton takes a dim view of post-Olympic life for medalists. Think about athletes you watched place in past Olympics. Do you know where they are now? What kind of lives are they leading? 3. Again to Carthage is told primarily from Quenton Cassidy’s point of view, with brief interludes following pivotal characters such as Mizner, Henry, and Andrea. Why do you think the author chose to tell the story this way? How do these interludes affect the reading experience? Whose side of the story do you wish you could have seen? 4. Parker includes a lot of running terminology – fartleks, for example. Were you already familiar with the vocabulary of running, or did you learn it along the way? If these terms were unfamiliar, how did that affect the reading experience? 5. Quenton’s drive to train as a marathoner is partly informed by the deaths of his relative Henry and friend Mizner, and he comes face to face with his own mortality as he struggles to finish the qualifying run. How does this paradox of extreme fitness accompanied by extreme physical trauma help Quenton deal with his losses? 6. Parker writes lovingly of the South, particularly Florida and North Carolina. How does geography play a role in the plot’s development? Do the vividly described settings enhance the story, or are they more background? Can you imagine training at the Poutin’ House? 7. The sabotage attempt on Quenton during the trials may seem extreme, but in the 2004 Olympic men’s marathon, a Greek religious agitator shoved Olympic men’s marathon lead runner Valnderlei di Lima off the course, costing him the lead. While this real-life interference wasn’t a personal attack, it does highlight the delicate nature of the trials and events, in which the slightest unplanned incident can cost an athlete their chance at glory. Should judges take these kinds of incidents into account? What is the fairest way to deal with interference? 8. On page 181, Roland and Quenton discuss the theory that there are only really two sports: ball and chase. Do you agree? Which do you prefer? Which category does your favorite sport fall into? Can you think of sports that don’t seem to fit this theory? 9. It would seem that sports in general, and particularly the Olympics, should rely entirely on the skill of the athletes. Quenton’s unofficial “trial” for drug use points out the political side of athletics. How much have the politics of judging tainted the Olympics? How much do you trust the scoring and judging systems to be free of personal bias? Does it vary from sport to sport, event to event? 10. Quenton and his friends are constantly telling each other stories, both true and apocryphal. How does the author use these internal stories to shape the narrative? Are they merely entertaining anecdotes or do they connect to the plot in a more profound way? 11. Over the course of his training, Quenton frequently experiences the euphoria some call “runner’s high” (although he dismisses it at one point). Have you ever experienced this high in running or another sport or activity? Would you agree that it can be, as Bruce suggests on pg. 171, a form of self-medication? 12. The novel ends before Quenton ever reaches the Olympics – and it’s not at all clear that he actually will. Quenton himself tells Andrea that it doesn’t matter. Do you believe him when he says it? Is it enough for him to know that he could have gone? How have his goals changed over the course of his training? 13. If you are already a runner, how does Quenton’s story resonate with your own experiences? If not, how does it shape your ideas about running and athletics? Does it inspire you in any ways? 14. If you have read Once a Runner: Which characters were you happy to see return, and which did you miss? If not: Which characters do you wish you knew more about? Were there passages that you felt you didn’t fully understand because you were missing back-story? 2. On pg. 224, the fictional Quenton runs alongside real-life runner and Olympic medalist Frank Shorter. Shorter has been described by many as a driving force in bringing running to public attention, and is still active. Check out an interview with Shorter from the 2009 Bolder Boulder 10K on how running has evolved (http://www.youtube.com/watch?v=J1q5j_VxoU4). 3. It may be too soon to cheer on Team USA at the 2012 Summer Olympics, but the USA Track and Field website calendar lists championship races and qualifying meets for the next several years: http://www.usatf.org/calendars/teamUSA.aspx. 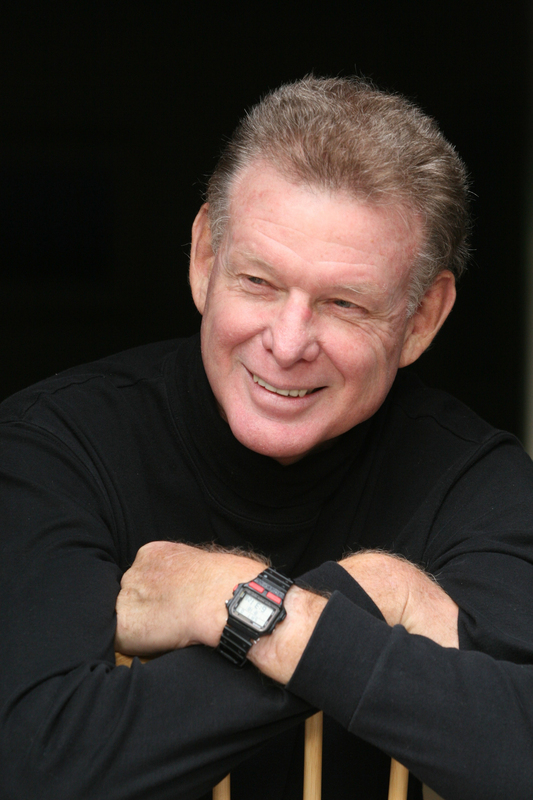 Author Photo (jpg): John L. Parker Jr.
More books from this author: John L. Parker Jr.